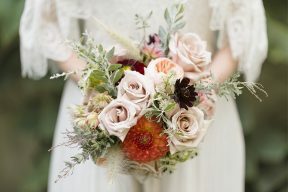 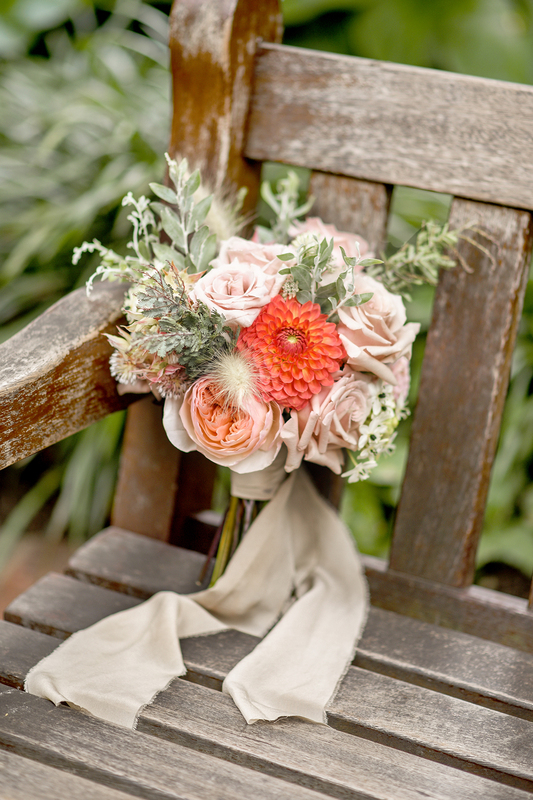 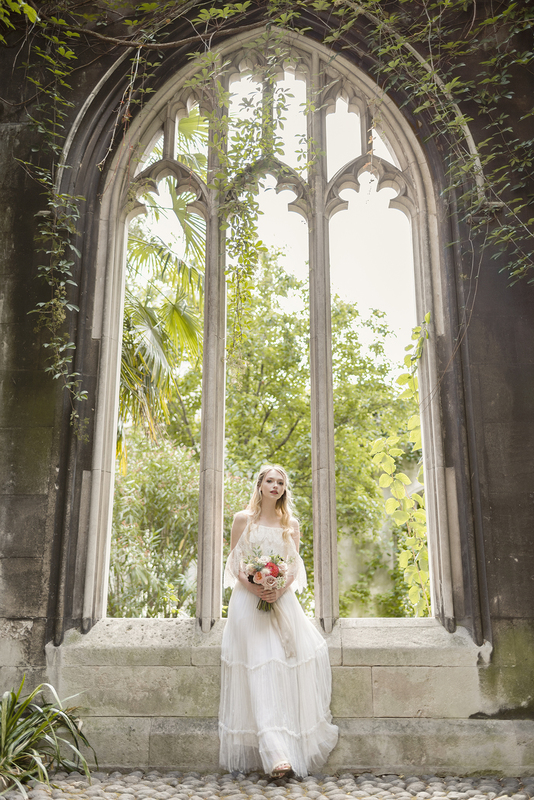 Burntt Autumnal colours and a dramatic setting of an open air church captured have us swooning today captured by YLL Weddings “The shoot took place at St Dunstan-in-the-East, the incredible ruins of a church full of gothic arches and shrouded in decades of vines and plants slowly overtaking the original architecture. 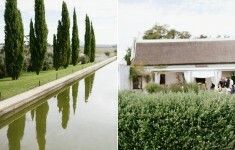 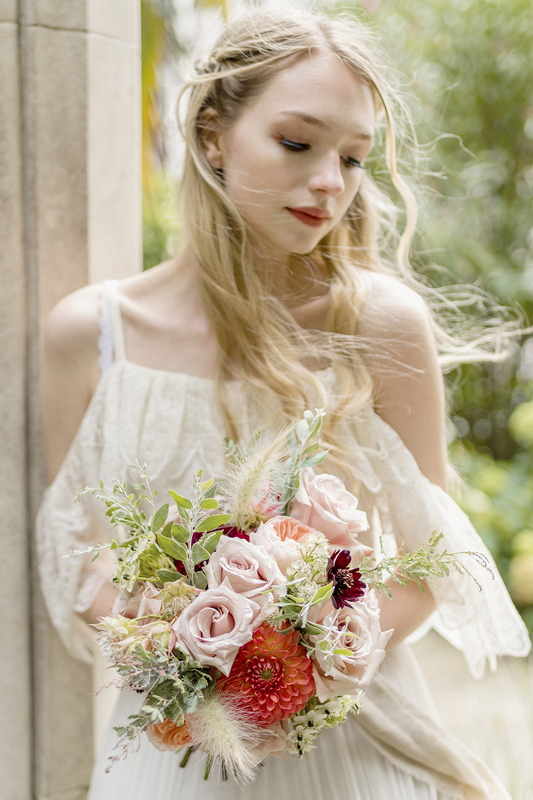 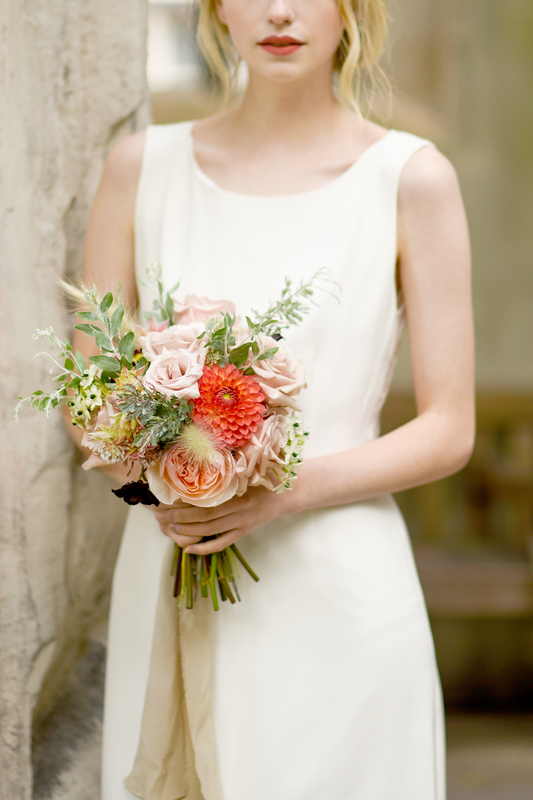 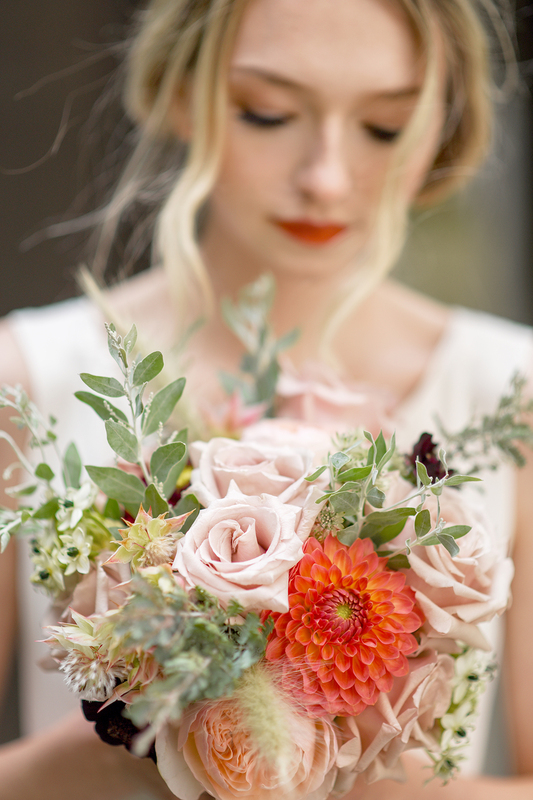 The inspiration for the shoot was a traditional romantic fairytale style with an unusual twist. 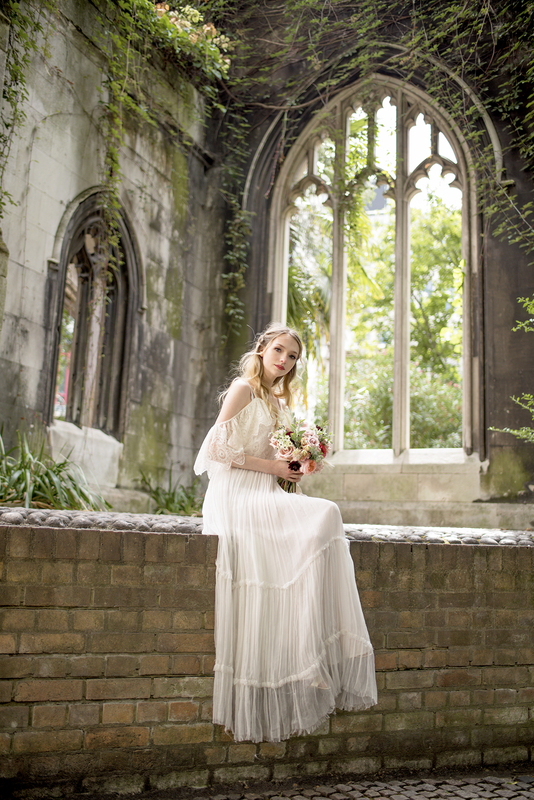 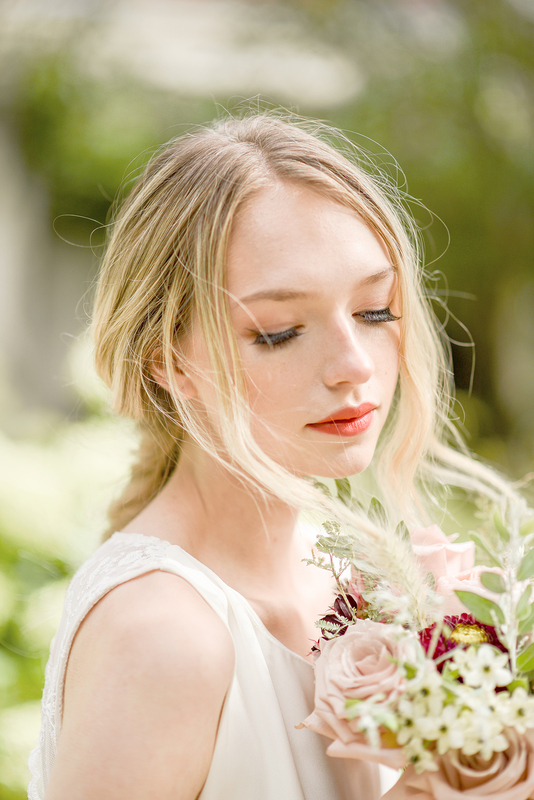 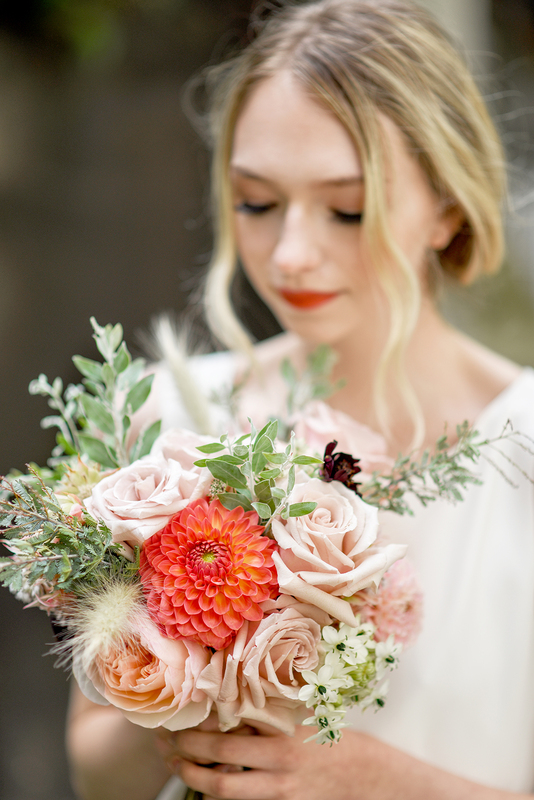 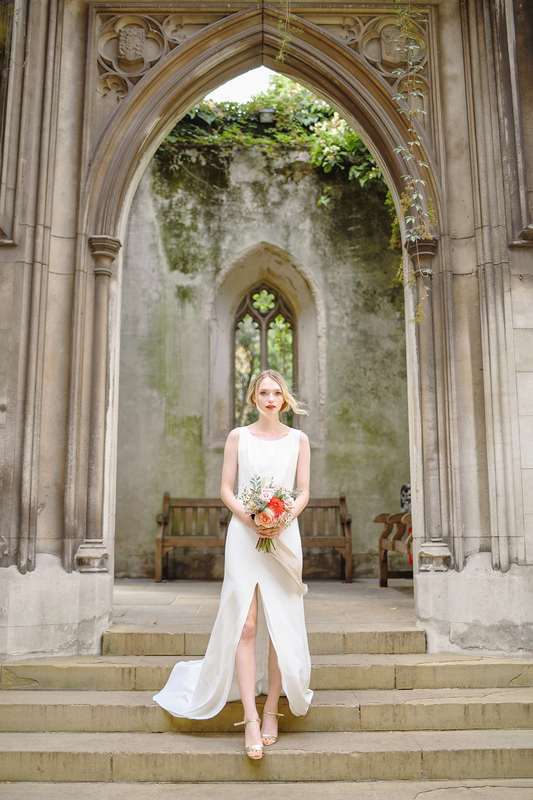 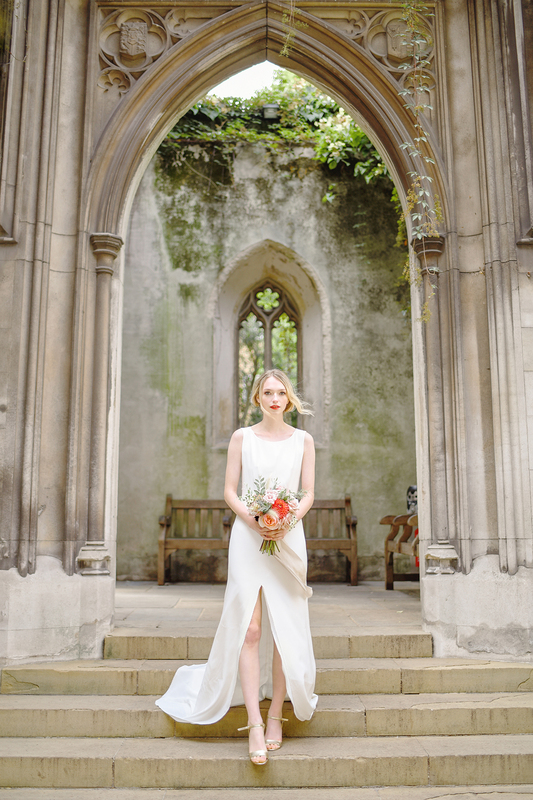 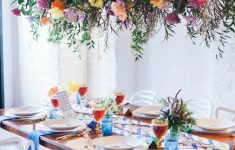 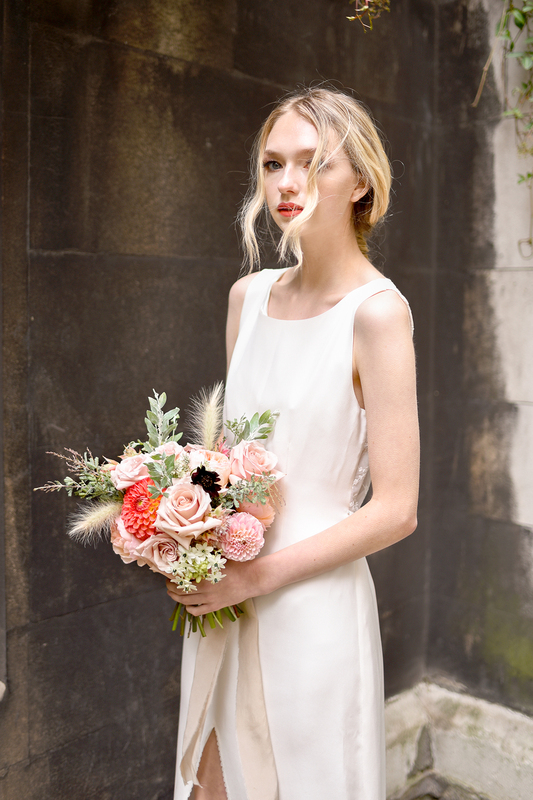 The shoot combines white lace, blush flowers and an ethereal beauty with the incredible architecture of the church, the gothic arches and the blackened edges of the structure – the scars of the Great Fire and Blitz which destroyed the rest of the church. 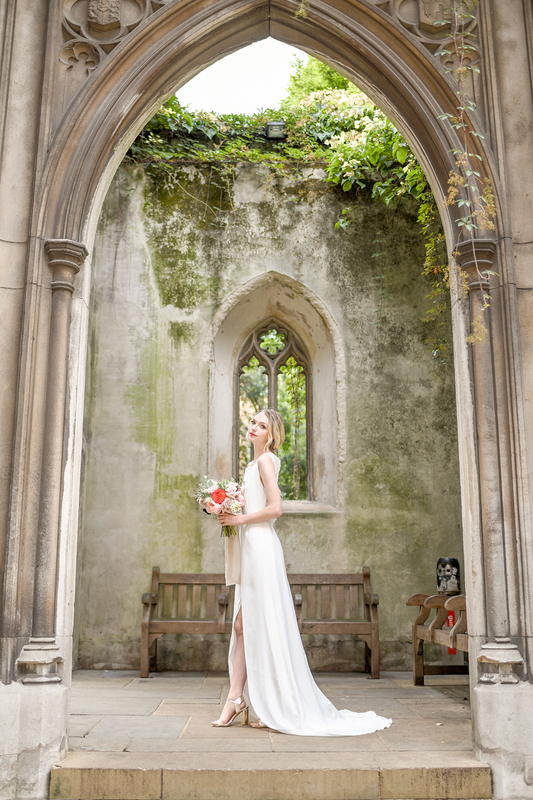 The photographs show the bride walking through the ruins as if she were the only person in the world. 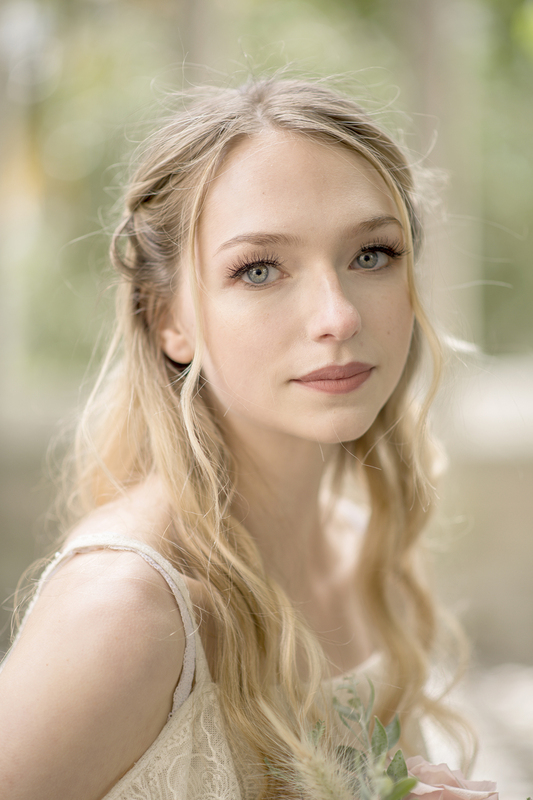 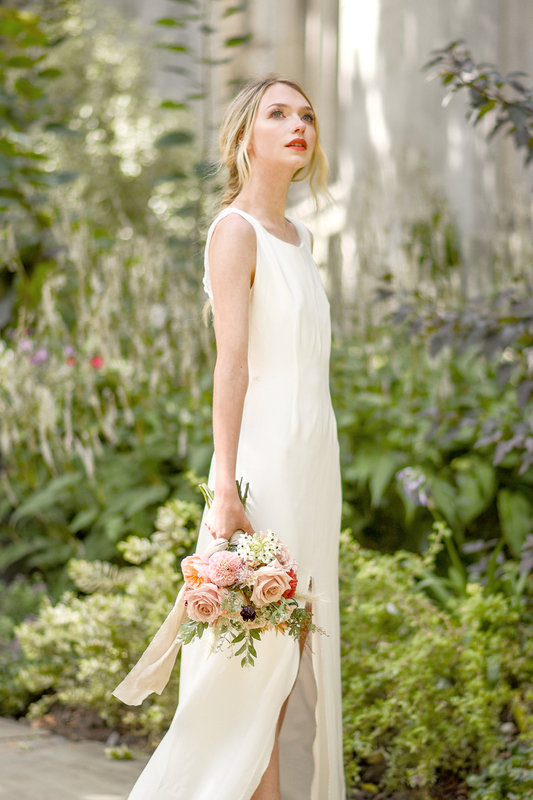 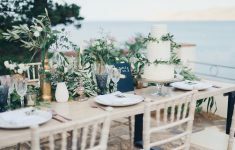 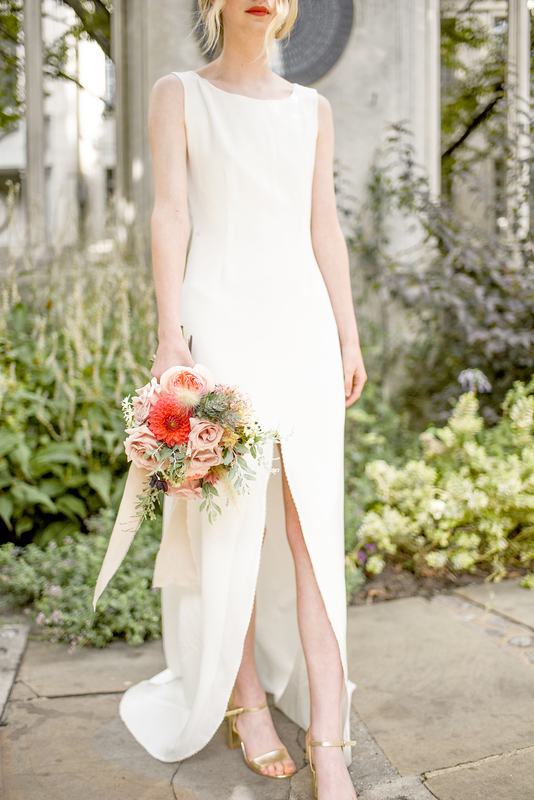 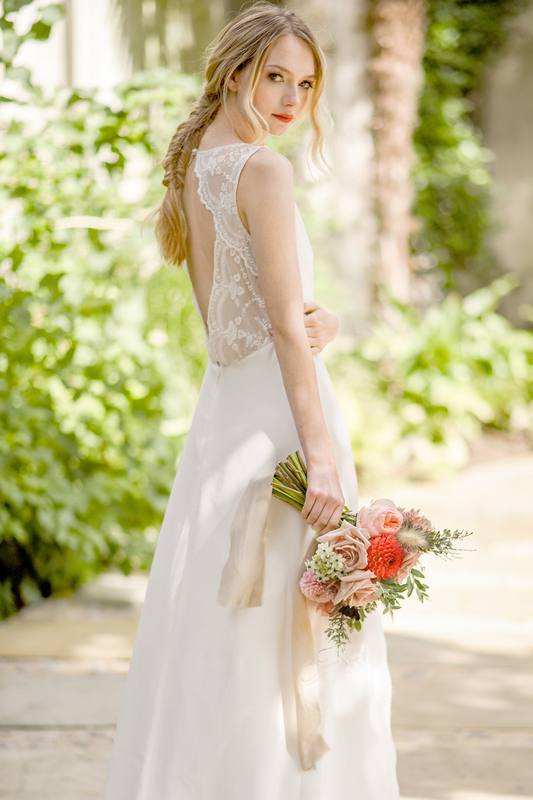 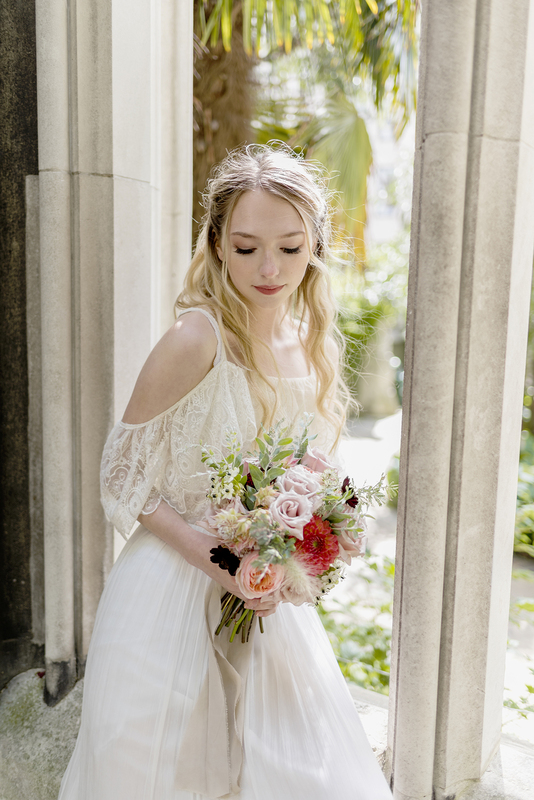 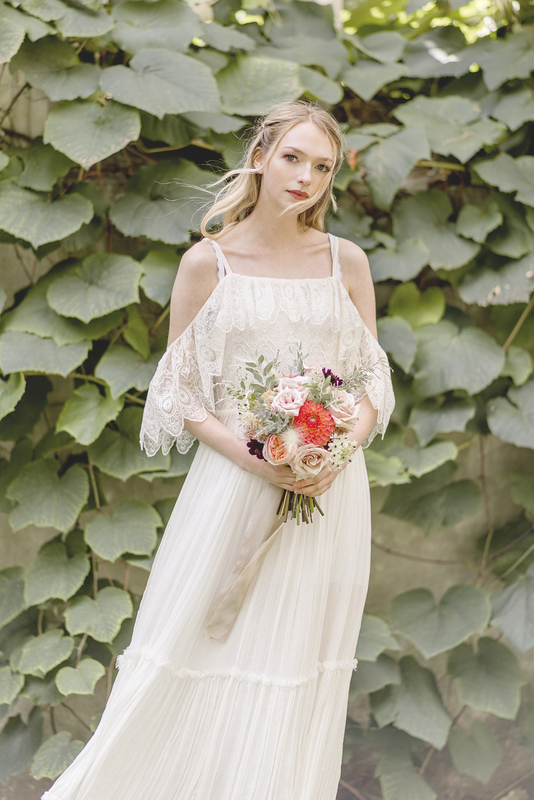 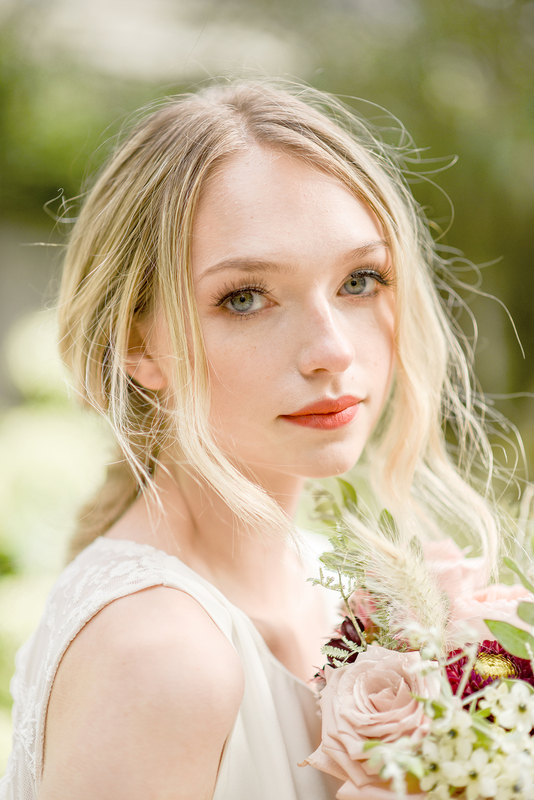 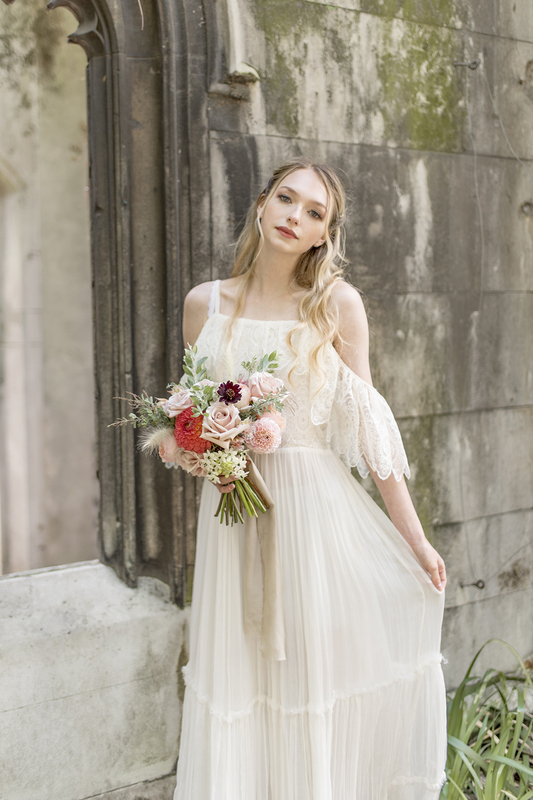 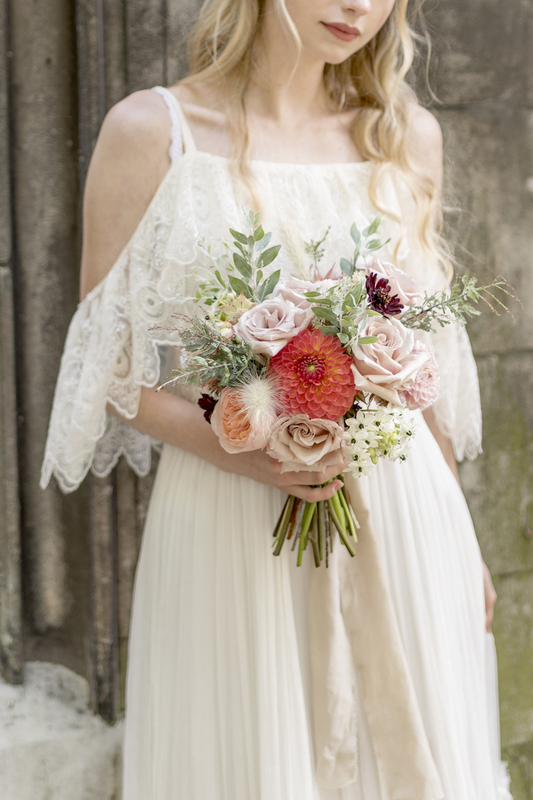 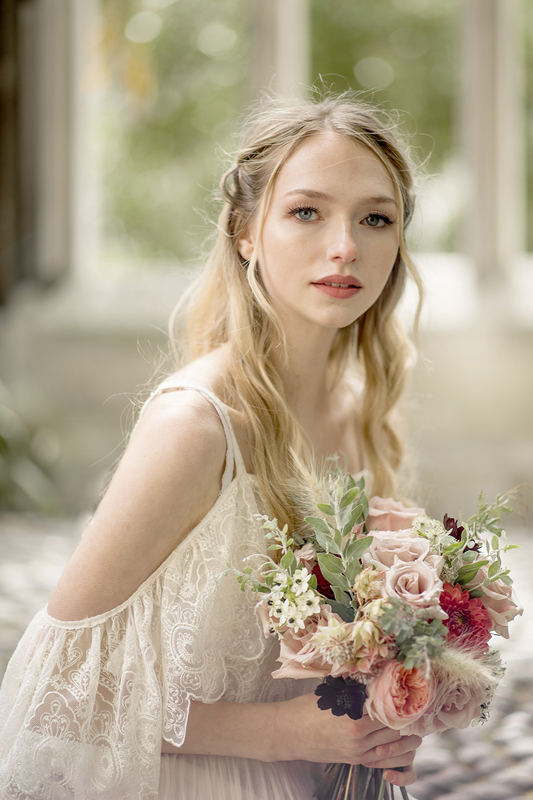 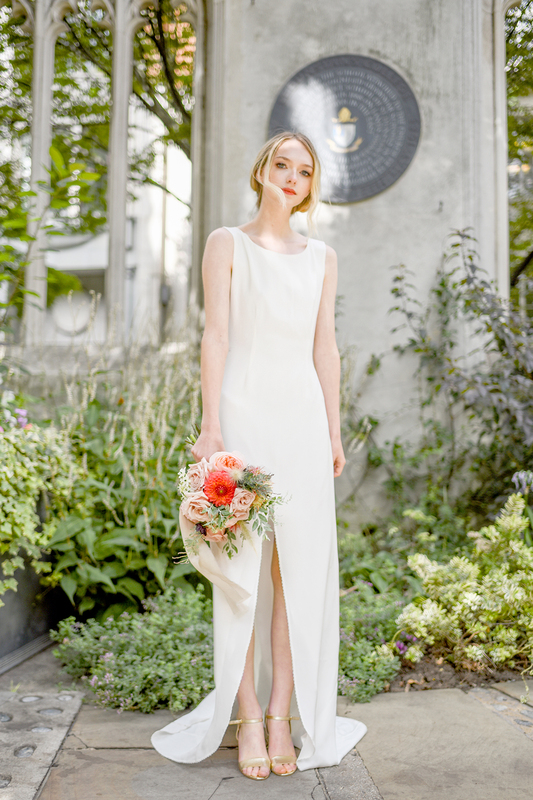 Two dresses by Minna were included in the shoot, the first a boho style dress in a pale ivory lace, with off the shoulder details swept through the churchyard with a windswept and delicate feel. 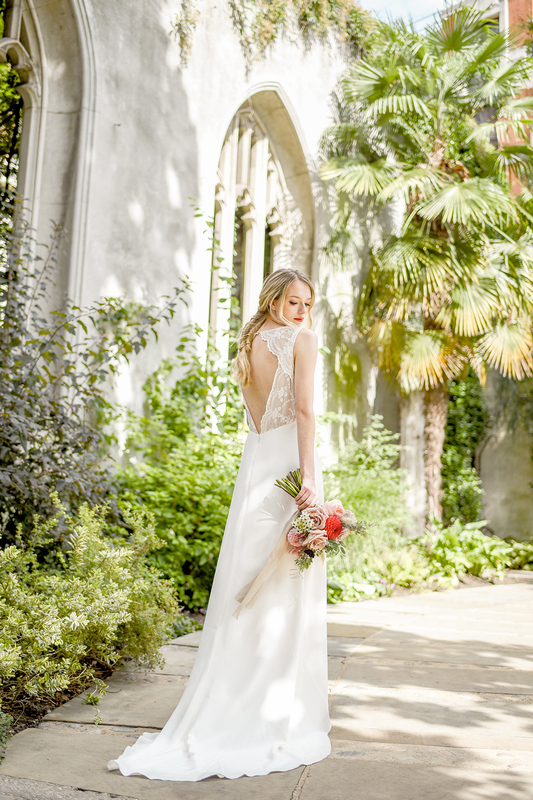 The second a stunning dress with a lace back and cutout detail, an open fronted design with a show stopping train in perfect white.